With a stay at Mercure Hotel Amersfoort Centre in Amersfoort, you'll be a 3-minute walk from Kade Museum and 9 minutes by foot from Museums Flehite. This 4-star hotel is 16.4 mi (26.4 km) from TivoliVredenburg and 1 mi (1.5 km) from Mannenzaal St Peters and Block Lands Hospital. When you stay at NH Amersfoort in Amersfoort, you'll be in the historical district, within a 10-minute walk of Museums Flehite and Mannenzaal St Peters and Block Lands Hospital. This 4-star hotel is 15.8 mi (25.5 km) from TivoliVredenburg and 0.5 mi (0.8 km) from Kade Museum. This monumental 17th century residence in the historical heart of Amersfoort offers tasteful guest rooms and an excellent base in the city centre. Free WiFi is offered in all areas. Hotel de Tabaksplant offers a variety of comfort rooms and luxury accommodations. All rooms have complementary coffee and tea facilities. The hisoric features of the hotel can be found in the beams in the ceilings, wooden floors and orginial windows. Yet, comfort can be found in the modern facilities such as the plumbing and internet access. Make use of the reduction on parking fees in the public garage nearby. Enjoy a satisfying meal at Restaurant Campanile serving guests of Campanile Hotel Amersfoort. Wrap up your day with a drink at the bar/lounge. Buffet breakfasts are available daily from 7 AM to 9:30 AM for a fee. 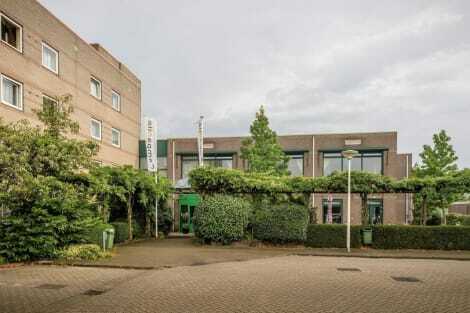 A stay at Best Western Plus Berghotel Amersfoort places you in the heart of Amersfoort, within a 5-minute drive of Amersfoort Concentration Camp and Thermen Soesterberg. 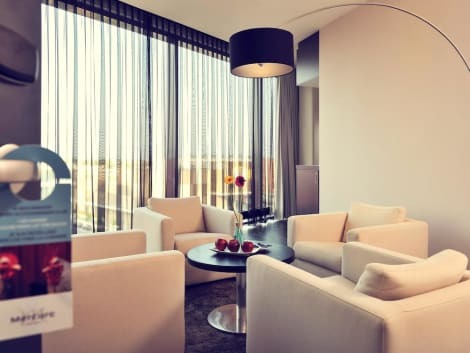 This 4-star hotel is 14.2 mi (22.8 km) from TivoliVredenburg and 15.6 mi (25.1 km) from Beatrix Theater. lastminute.com has a fantastic range of hotels in Amersfoort, with everything from cheap hotels to luxurious five star accommodation available. We like to live up to our last minute name so remember you can book any one of our excellent Amersfoort hotels up until midnight and stay the same night.